And so they have, with their magical “history” tour of the Beatles career, arranged chronologically beginning with the band’s pre-Beatles days through to Abbey Road and Let It Be. 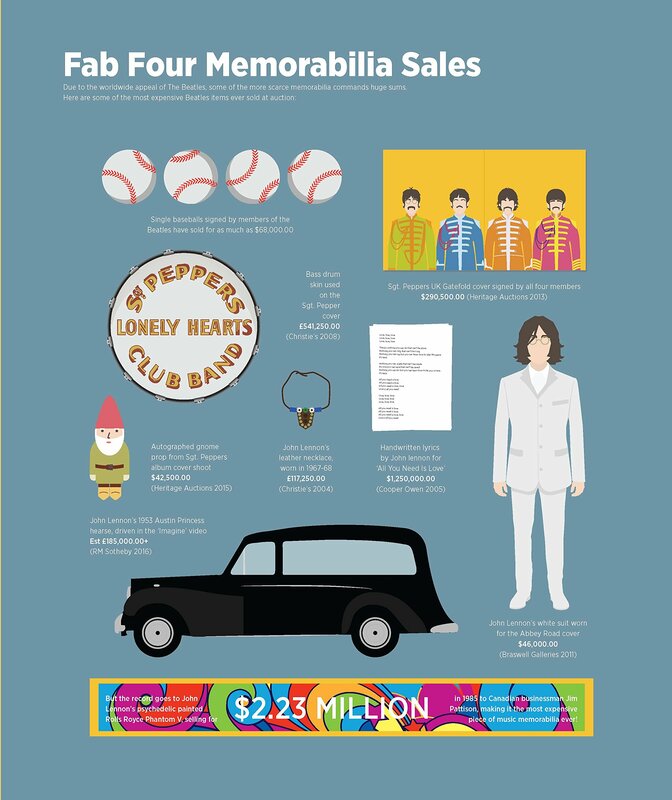 The book also takes welcome detours with pages devoted to such topics as “Press Conference Humor,” “Style Through the Years,” “Fab Four Memorabilia Sales,” “Hairstyles Over the Years,” and so on. In the section, “Turn Me On, Dead Man,” the book playfully recounts the “Paul is Dead” conspiracy theory with the so-called “clues” in the group’s music and album covers. A timeline appears throughout the book as a helpful guide to what was happening elsewhere around the world coinciding with each Beatles album. Did you know, for instance, that LSD was made illegal in the U.S. on Oct. 6, 1966, not long after Revolver was released? Or that the famous “Plato’s Stepchildren” episode of TV’s Star Trek aired the same month as The White Album‘s debut? A two-page spread plots 13 locations in Los Angeles that the Beatles have visited or lived in since 1964, including the private home at 1567 Blue Jay Way that George Harrison rented (and was famously inspired to write a song about) and 7655 Curson Terrace, where the band stayed during their 1966 tour. 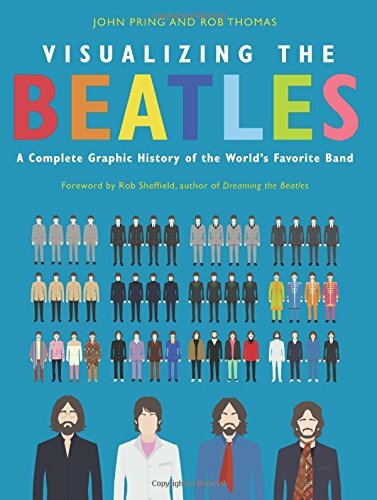 As the authors note, Visualizing The Beatles is “an attempt to present the facts in a way you haven’t seen them before, so you can spot… the patterns, anomalies and changes.” Mission accomplished.